The iconic Model 101 is a much loved shotgun with legendary styling andhandling and the unquestionable reliability you expect from Winchesterfirearms. 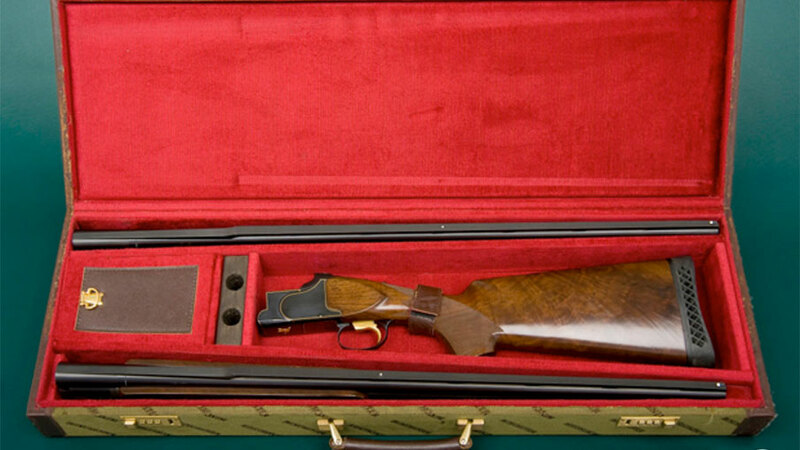 The American Flyer is made of the same high-quality, top-gradewood used to manufacture the Winchester Pigeon and features anelegently simple black receiver with a fine gold inlay. This two-barrelcombo is one of only 43 made. It features 28-inch and 29-inch barrelswith white bead sights, an adjustable trigger, a manual tang safety withan integrated barrel selector, and a Morgan recoil pad, and includesmanual, improved modified, full, and extra full WinChoke tubes. Itswood, metal, and bore are all in very good condition.